We took a ferry from St. Petersburg back to Helsinki and promptly boarded another ferry to Tallinn, Estonia. Winter started in St. Petersburg but was firmly in place in the Baltic countries with over 6” of snow and 2’ berms. The walled medieval town of Tallinn rest on the gulf of Finland. Old Town is a designated UNESCO World Heritage site and is surrounded by narrow cobblestone streets, intermixed with stone and pastel buildings with icicles dangerously hanging from the eaves Pure magic. Our original plan was to take the train south through Latvia and Lithuania but discovered that train travel in the Baltic’s is limited. Apparently the Soviets disregarded rail maintenance during their occupation although there are still freight trains with local slow passenger schedules. Bus service filled in and had become very efficient. A beautiful 2 hour bus ride through the snow-blanketed country side took us to Riga, Latvia. Another UNESCO World Heritage site known for its Art Nouveau buildings and 19th century wooden homes. Quaint as can be. The bus schedule dictated that we only had time to see the town of Penevezys in Lithuania’s not so pretty 5th largest city. 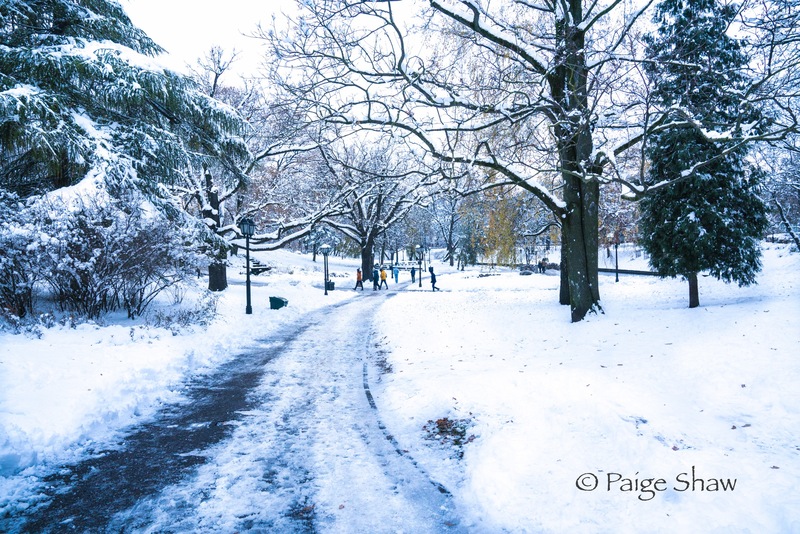 We strolled around the snow packed park and enjoyed watching children playing in the snow. The bus station was decrepit with old benches and a squatter toilet in a detached cold room. Within 2 minutes of our scheduled departure 6 big yellow busses pulled in where passengers scurried from one bus to another – one coming from Moscow and ours came from Prague. This entry was posted in Estonia, Latvia, Lithuania and tagged Baltic Countries, Estonia, Latvia, Penevezys. Lithuania, Photography, Riga, Tallinn, Travel, Winter on November 12, 2016 by Paige Shaw. 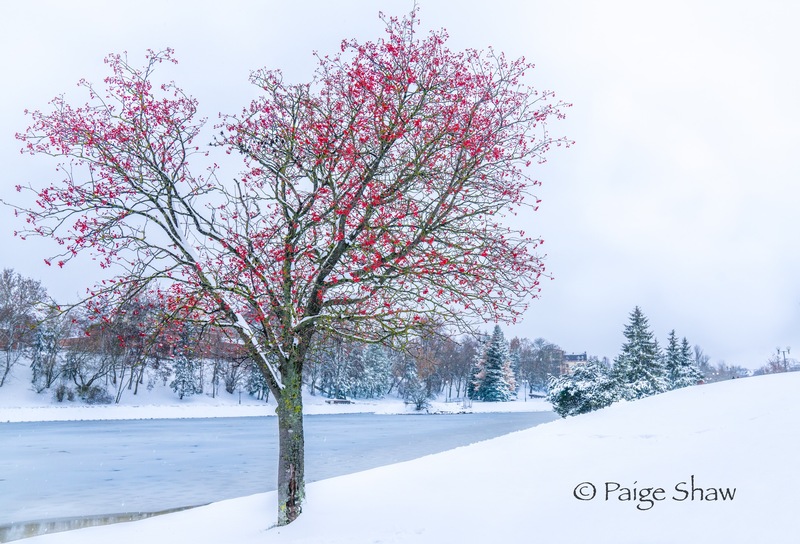 This entry was posted in Latvia, Photo of the Day 2016 and tagged Latvia, Photography, Riga, Snow, Travel, Winter, Wonderland on November 5, 2016 by Paige Shaw. 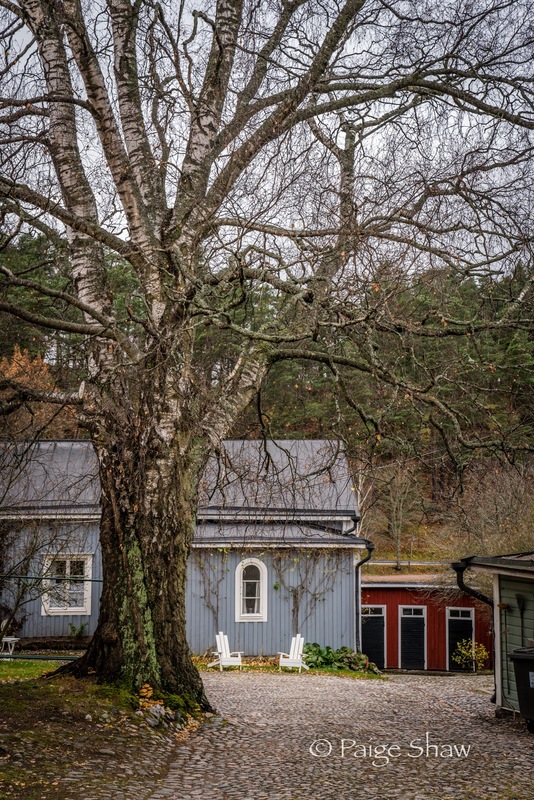 This entry was posted in Finland, Photo of the Day 2016 and tagged Finland, Landscape, Photography, Provoo, Travel, Winter on October 30, 2016 by Paige Shaw. This entry was posted in Photo of the Day 2014, Salamanca, Spain, Spain and tagged Birch, Photo of the Day, Photography, Salamanca, Travel, Trees, Winter on November 30, 2014 by Bill and Paige. This entry was posted in Photo of the Day 2014, USA and tagged Barns, Carson Valley, Irrigation time, Photo of the Day, Photography, Travel, Winter on November 18, 2014 by Bill and Paige.